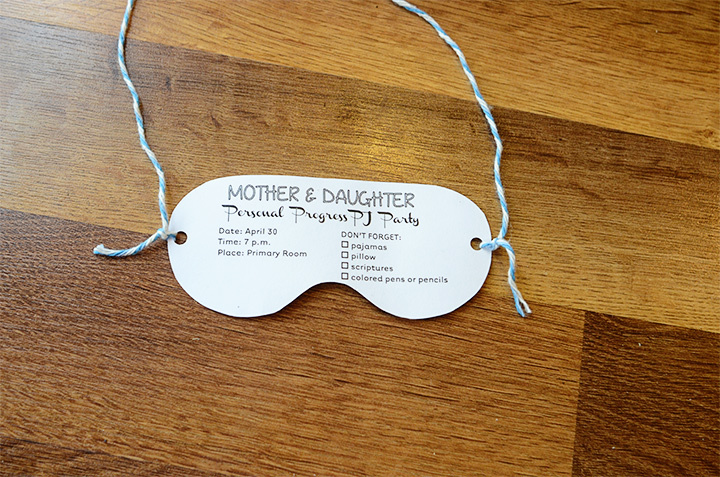 We had a great activity with our young women and their mothers recently – a Personal Progress Pajama Night. 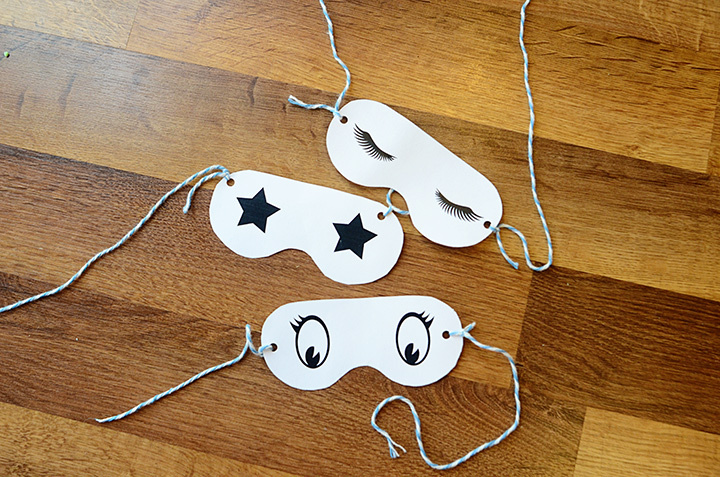 A couple weeks before our activity we printed out these sleeping mask invites (a free printable found here). The back of the mask had our event information on it. It takes some trial and error to get the back and front matched up – I try measuring things, but it seems like things work better for me to print the front, then place on a lightbox or sunny window with the information cut and taped to the back to make sure things match up properly. Once the info on the back is where it needs to be, I run the rest through the copy machine. Our plans for the evening were to begin with a fun game, do some personal progress journal doodling while enjoying refreshments from a bed-themed table, then a simple craft was available for anyone who finished early. We spread out blankets on the floor, and everyone came with pillow to sit or lay on. There were a couple games we were thinking of playing. The first was to have a pancake-flipping relay race, but we instead went with our second idea, which was to play the “Lap Game”. 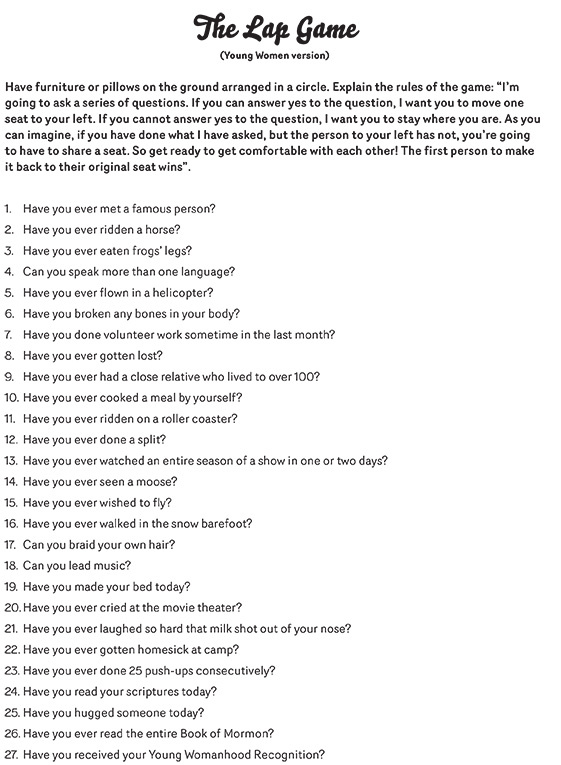 You can download a printable version of it here. This was a lot of fun, and got the moms and daughters all laughing and talking. We went through all the questions, and let whoever made it back to their original seat punch our personal progress board for prizes. You can see our punch board here – although this time we covered the cups in gold tissue paper because our value of the month was Virtue. It looked beeyoutiful! Our next activity was to do some doodling. I purchased the Red Headed Hostess’ Personal Progress doodle journal, and made copies of a few favorite pages for the girls and moms to doodle. We posted all the finished pages on a bulletin board, then had everyone vote for their favorite pages. Each girl had 3 post-it “votes” that they stuck on their favorites. 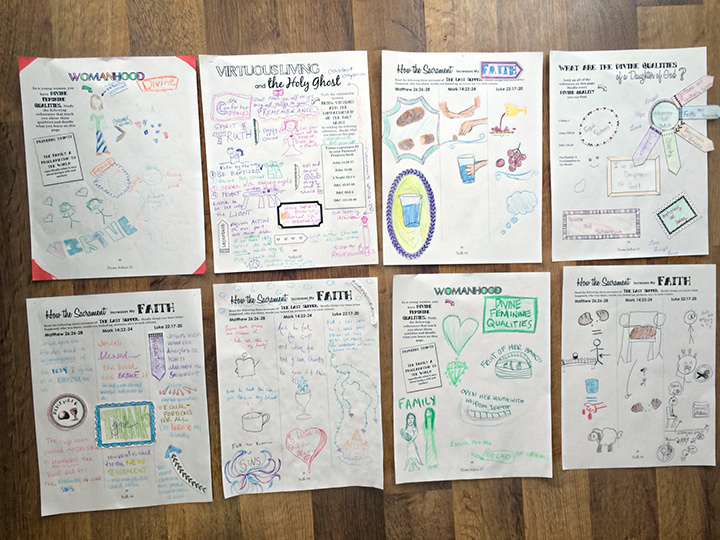 The two pages with the most votes got prizes – a bouquet of pretty colored pens for future scripture study or personal progress doodling! 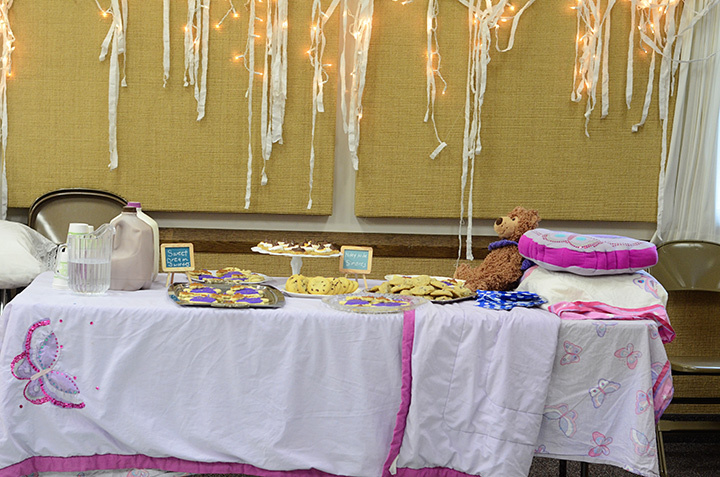 Throughout the evening everyone was free to get cookies and milk from our refreshment table made up to look like a bed. 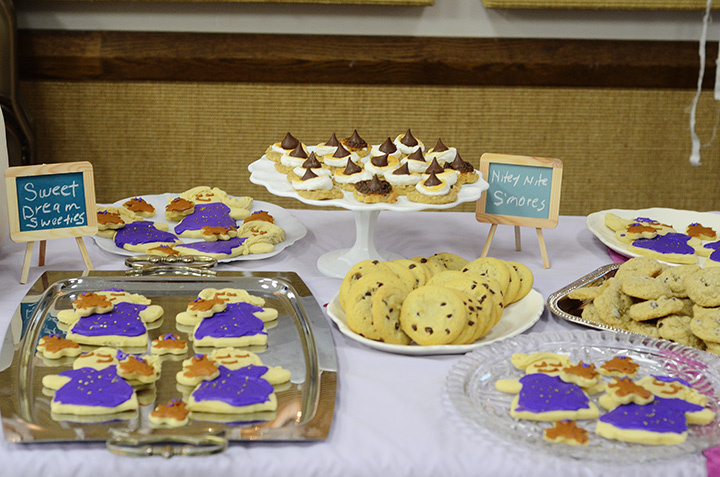 Some favorites were the S’more Cookies and sugar cookies that were cut into shapes of girls in pajamas holding teddy bears. 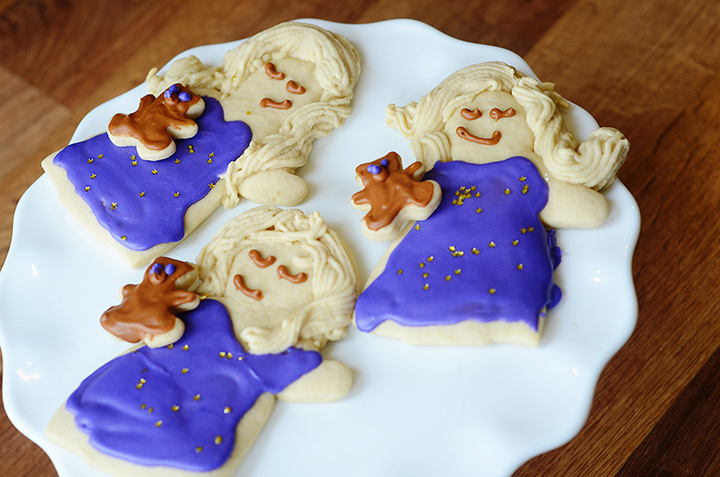 It was so much fun making these girl cookies with hair – Each hairstyle was unique and fun. I pushed cookie dough through a potato ricer to make the hair, then carefully placed it on the girl cutouts before baking. 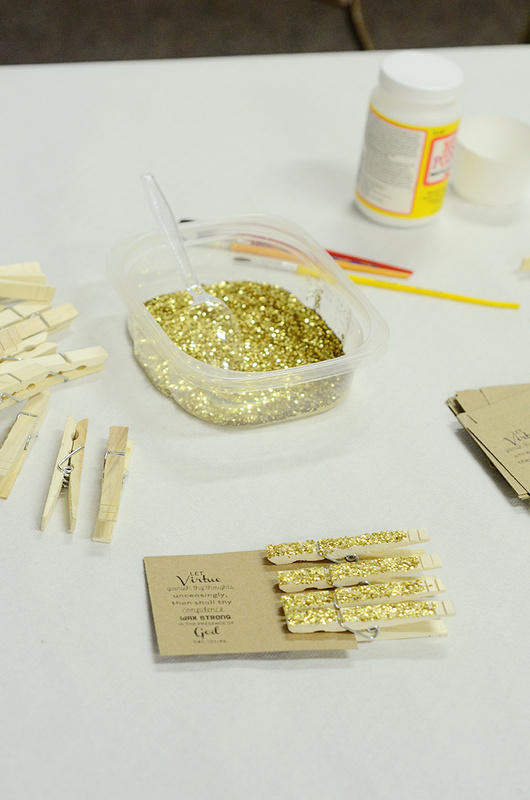 Finally, we had this very simple craft set up in the back of the room – clothespins with mod podge and gold glitter. They clipped their finished clothespins on a piece of cardstock with a scripture about virtue printed on it. You can find that printable, along with the back of our invite here.